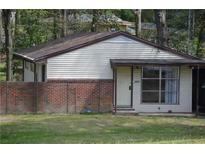 Find Chamblee, GA Condos for sale. View Photos, Maps and MLS Data Now! 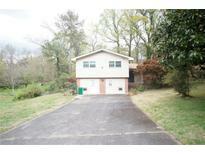 Henderson Hills - Convenient Commute To Emory, Cdc, Choa. MLS#6535857. Realty Associates Of Atlanta, Llc..
Laventure Forest - Lush Patio With Space For Seating, Additional Space For Entertaining. Close To Shopping And Restaurants. MLS#6535269. Palmerhouse Properties. Minutes From Murphey Candler Park, Schools, Shopping & Dining! 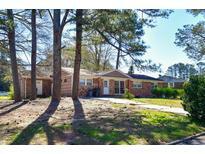 MLS#6534853. Exp Realty, Llc.. Most Square Footage For The Money Inside The Perimeter. MLS#6534468. Keller Williams Realty Atl Perimeter. Dunwoody Forest - My Relocated Seller Is Already Missing His Home. MLS#6532976. Century 21 Connect Realty. It Is In A Great Location. MLS#6531747. Atlanta Maxim Realty International. Easy Access To I-285, Ga-400 & I-85. Excellent Schools! ! MLS#6529095. Keller Williams Rlty-Ptree Rd. Hilltop - Complete With Relaxing Front Porch And Convenient Location -Easy Access To Hwy 285, 85, & 400, Walk To Dresden Park, 10 Minutes To Midtown & Piedmont Park. MLS#6529508. Progressive Realty, Llc..
Beverly Hills - Walk To Shopping And All The Other Fantastic Developments Happening In Chamblee! 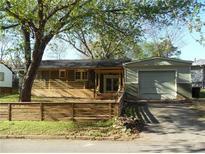 MLS#6527966. Re/Max Metro Atlanta. 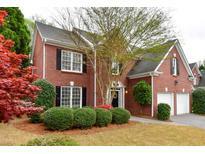 Beverly Hills - Convenient To I-85 / I-285, Pib, Dekalb Peachtree Airport, Shallowford Park, Lots Of Shopping And Restaurants. MLS#6527393. Americas Realty, Inc.. This Home Is In Move-In Condition - Updated Baths - Kitchen Redone With Granite Counter Tops - All New Windows - Enclosed Garage - Do Not Miss This Chance To Live Inside Perimeter With All City Advantages MLS#6526650. Dorsey Alston Realtors. This House Just Needs A New Loving Family. MLS#6525947. Weichert, Realtors - The Collective. Sold "As-Is" And Needs Some Love/Care To Make It Your Own. 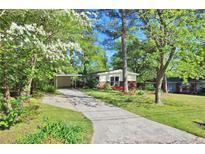 MLS#8548958. Atlanta Communities. Walk To Canfield Park, Downwind Or 57Th Fighter Restaurants. MLS#6523173. Harry Norman Realtors. Mins To Peachtree Station/Restaurants/Shops, Walk To Marta! MLS#6522962. Solid Source Realty, Inc..
Other Features: Pella Energy Efficient Windows, Shed & One Car Garage With Additional Parking On The Side. MLS#6518695. Berkshire Hathaway Homeservices Georgia Properties. Great Schools, Both Public And Private. MLS#6518156. Ansley Atlanta Real Estate, Llc. Very Near To Perimeter Mall And Blackburn Park And Murphy Candler Park. MLS#6516249. Keller Williams Rlty-Ptree Rd. Trees Removed To Maximize Outside Space! MLS#6516108. Keller Williams Rlty, First Atlanta. Elysian Point - Enjoy New Street Beautification Project, Just Recently Installed Nearby! MLS#6514008. Homestead Realtors, Llc..
Full Finished Basement Perfect For Entertaining! MLS#6514081. Compass. Kitchen Has New Counter Tops, New Flooring, & Breakfast Area W/View Of Family Room. Storage Shed Is Included. MLS#6513254. Coldwell Banker Residential Brokerage. This Home Comes With A 30-Day Buyback Guarantee. Terms And Conditions Apply. MLS#6510385. Opendoor Brokerage, Llc. 1/2 Mile To Thirdrail Studios For Film/Tv Filming.Separate Detached Office Professionally Landscaped & Fenced Yard For A Pup.Huge 2nd Floor W/Many Office Layout Possibilities And Adjoined By Additional Work Station Room.See Pictures For Layout And Docs For Chamblee Redevelopment In Process MLS#6504149. Keller Williams Rlty-Ptree Rd. Chamdun - Master On Main W/Vaulted Fireside Greatroom With Built-Ins Opens To Dining Room, White Kitchen W Stainless Steel Appliances, Island And Hardwoods, B'Fast Room Main Level Laundry/Mud Room, Large Deck Overlooks Wooded Back Yard, Upper Level Landing Overlooks Greatroom With 3 Bedroom/2Ba Up, Finished Basement With Full Bath And Wet Bar, Unfinished Storage/Workshop, Professionally Landscaped Lawn, Newer Hvac, Lots Of Sf, Close To Chamblee Charter Hs, This Home Will Check All Your Boxes And Ready To Move-In! MLS#6509244. Ansley Atlanta Real Estate, Llc.